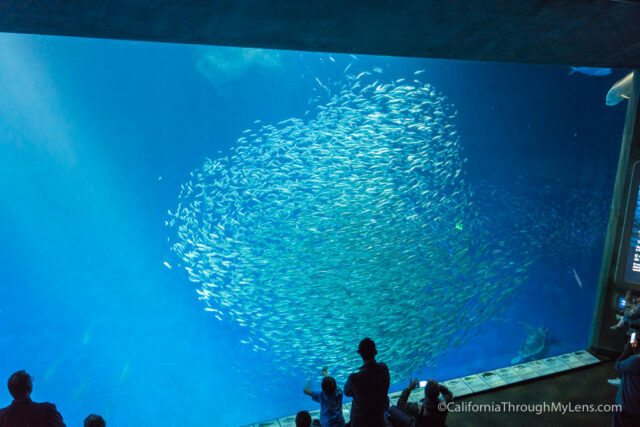 The Monterey Bay Aquarium, located on California’s Central Coast, is widely regarded as one of the best aquariums in the entire world. 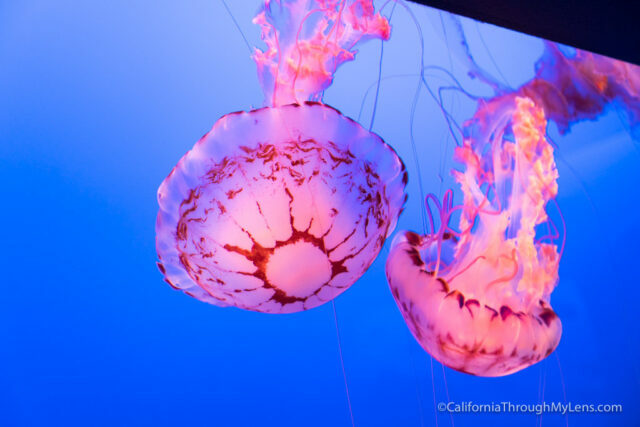 I haven’t been to them all of course, but I can easily say that the Monterey Bay Aquarium is the best I have been to. While it can be pricey for a family, it is worth it at least once as there is so much to see and interact with in the vast space. Here is all the information so you can check it out yourself and be sure to come on a weekday if you can as the weekends are super busy. 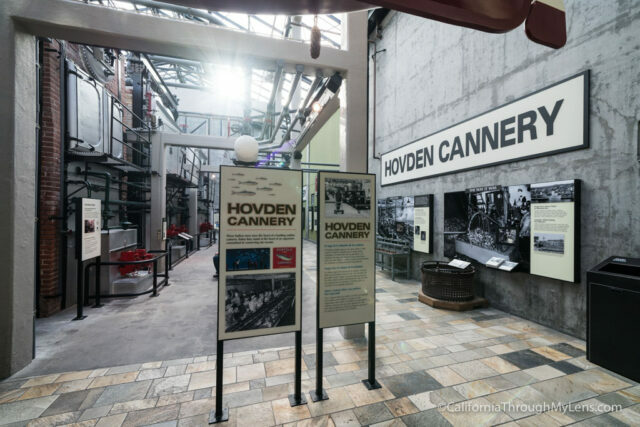 Cost: $50 for adults, $40 for kids, you can get a tax-deductible family membership which may be better if you want to go more then once in a year and have multiple children. 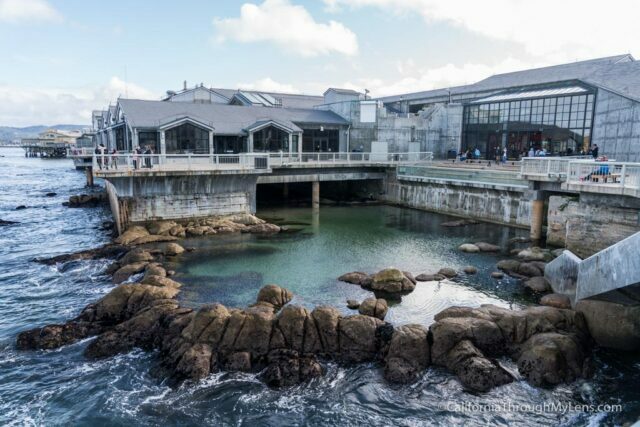 Monterey Bay Aquarium is located in the Cannery Row area of Monterey, and it is one of the leading attractions in this popular tourist town. 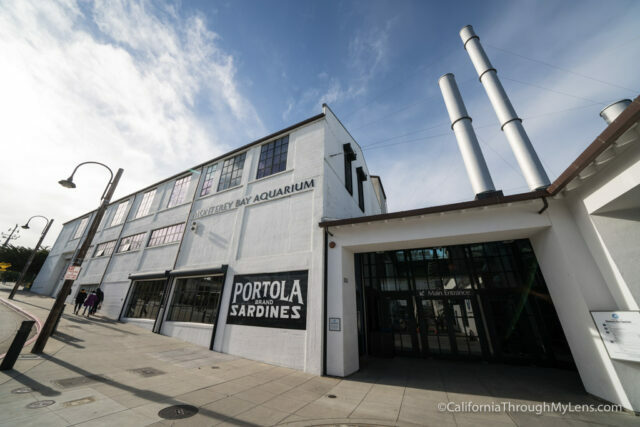 There is nowhere to park at the aquarium though so you have to use the parking lots around Cannery Row (often $10 a day) or find street parking. 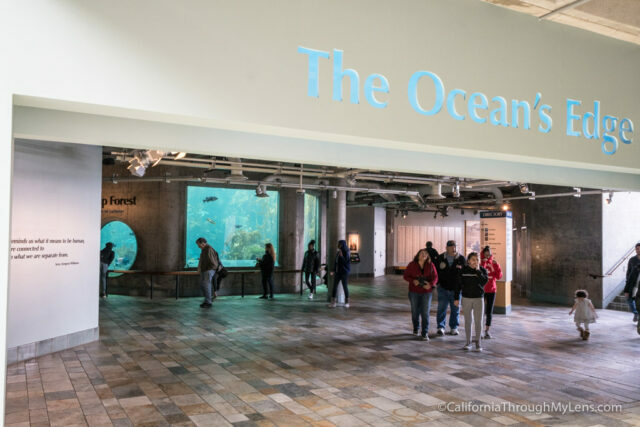 When you enter the Monterey Bay Aquarium what you will immediately notice is how big it is. There is a ton to see here so make sure you give yourself enough time and check out the map so you can find the spots you have to see. 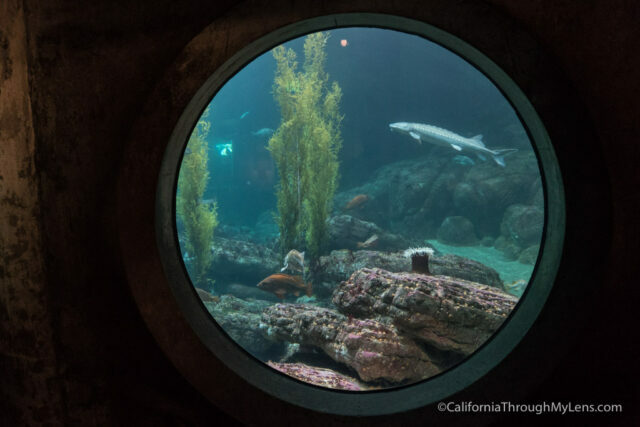 Also, note when the feeding times are as these are great times to see the marine life moving around and excited in the tanks. Here are some of the main areas. 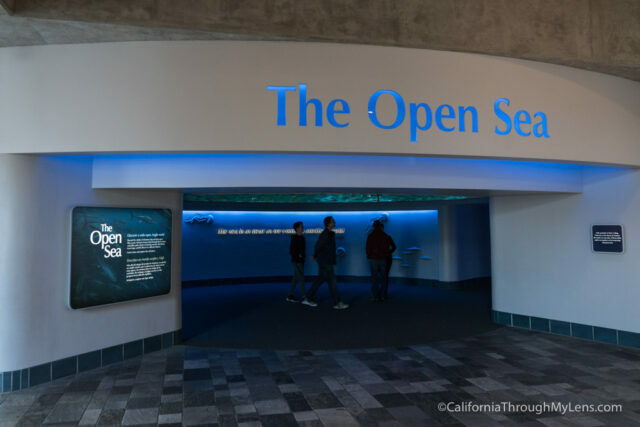 I love this exhibit as it features a bunch of unique fish like octopus and squids. 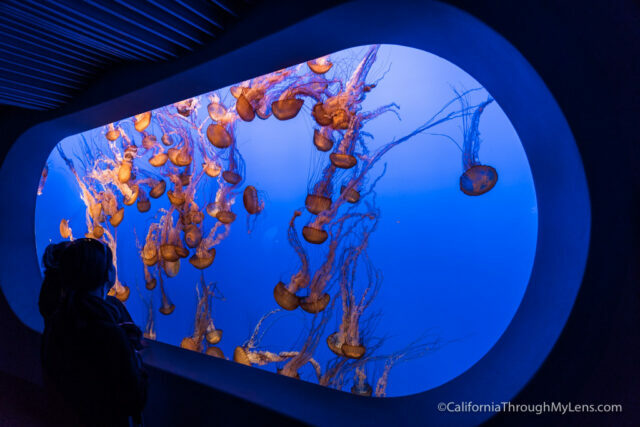 It’s a popular one with lots of people taking pictures since this area also has one of the most photogenic creatures, the jellyfish. 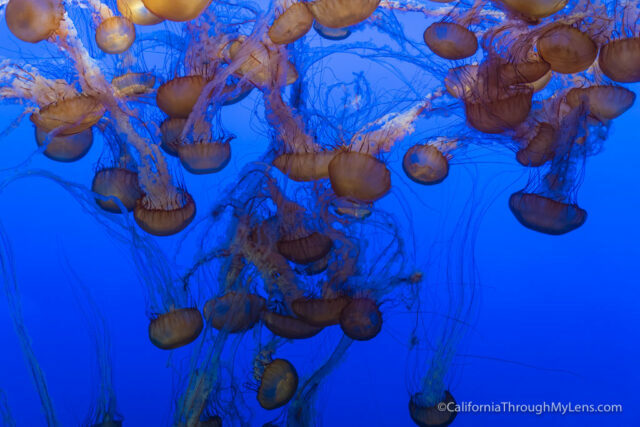 The jellyfish are always popular since their so brightly colored and are backlit to accentuate their unique features. 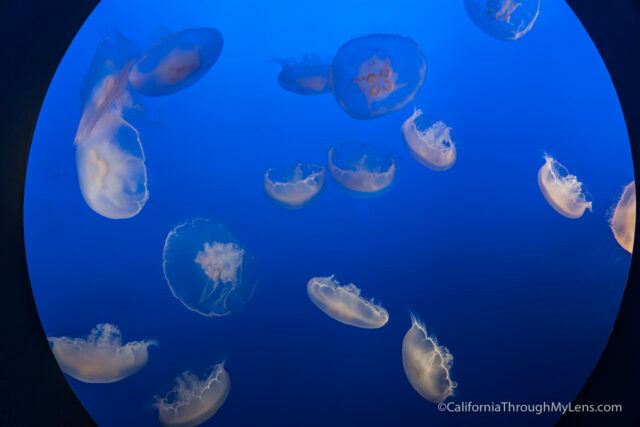 There were at least a half-dozen different types of jellyfish to see in this dimly lit part of the exhibit. You usually have to wait for an open space to see them since so many people are taking photos but it is worth the wait. 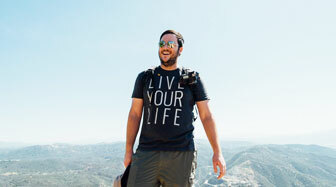 A few other attractions that are popular are as follows. 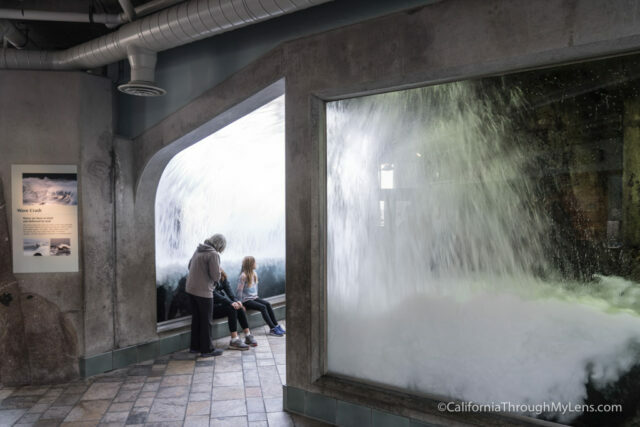 This glass tunnel has a wave crash over it every few minutes, and it’s a lot of fun to sit under, especially for children. 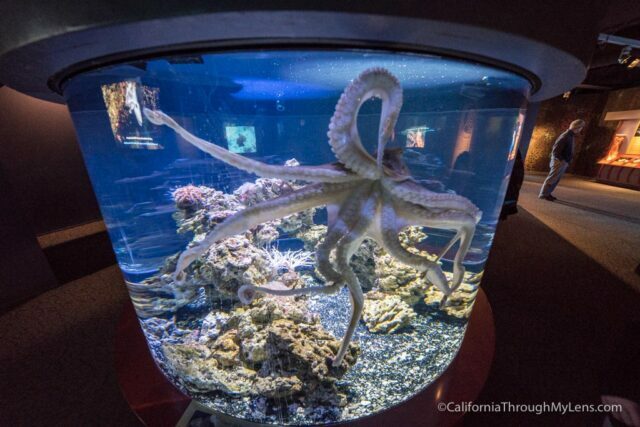 It also feeds a tank that is outside of the aquarium and has some more local creatures in it. 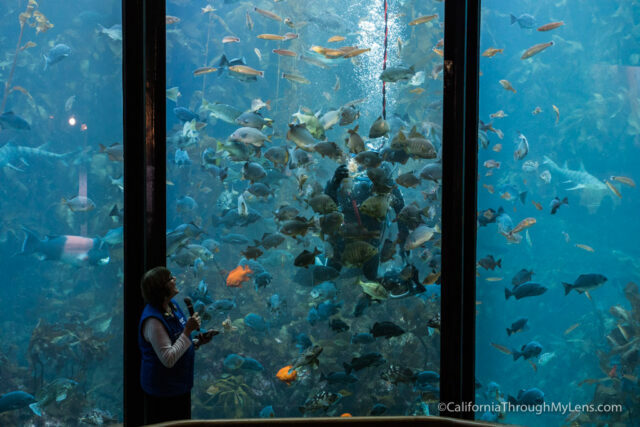 The kelp forest is one of the largest tanks in the entire exhibit, sitting at least 30 feet tall. There are a bunch of different kinds of fish to see here. 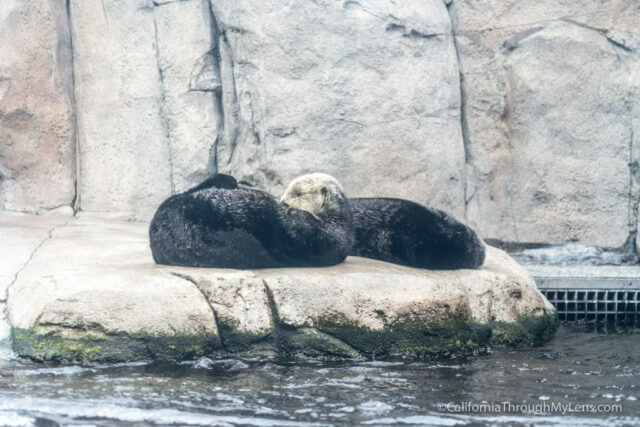 The otters are another of the favorite exhibits in the aquarium and it’s easy to see why as they are a blast to watch. The small area that looks down on their tank gets crazy busy when they are being fed. 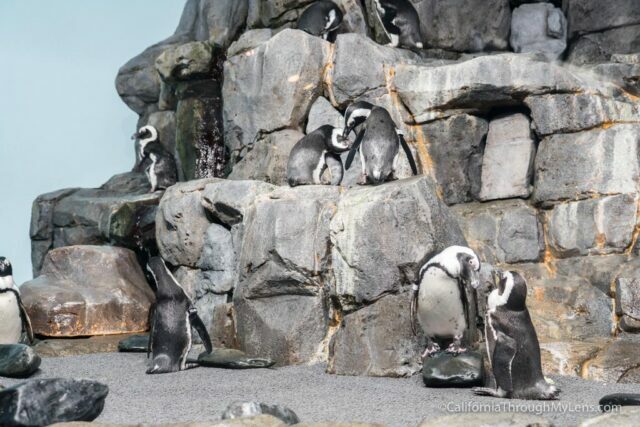 Much like the otters, there is also a large exhibit for the penguins. 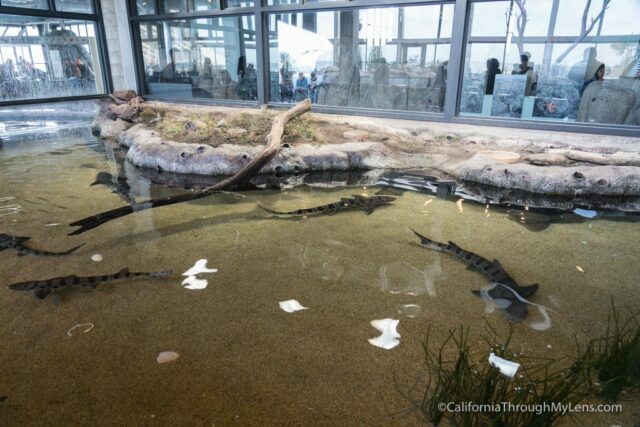 The exhibit is fun as it lets you see above and below water so that you can watch the penguins swim. 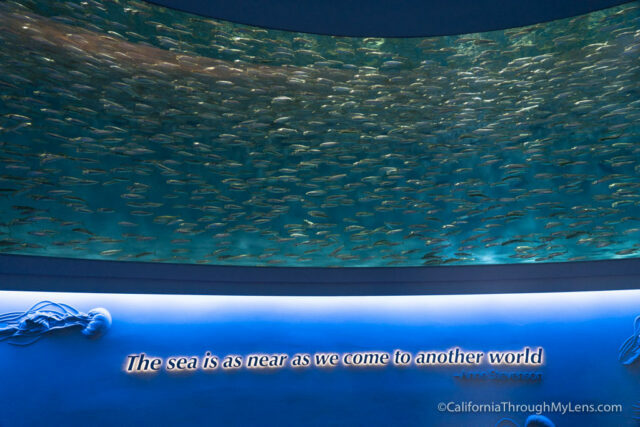 If you have a young kid, they will love this exhibit as it allows them to interact and touch many different creatures. I didn’t spend a lot of time here myself but I could see it being really popular. In the back of the main building, it’s fun just to walk around and look out over the ocean. There aren’t really any exhibits out here, but it is a beautiful part of Monterey with fantastic coastal views. 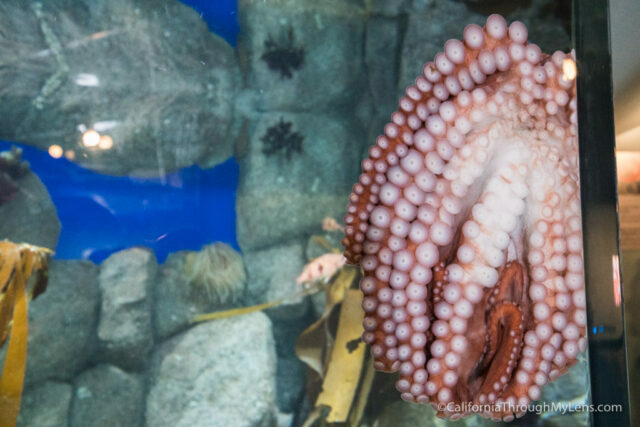 As you can see, this aquarium is massive and has a lot of fun exhibits. 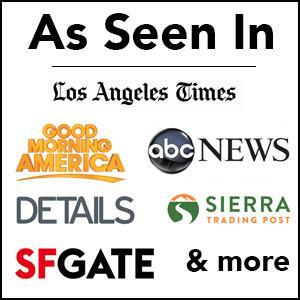 Be sure to check it out if you are in the area and let me know what you think in the comments.